Learning to drive is a right of passage in most American states, and can easily be considered one of the most anticipated milestones in a teens life. However, for parents, this milestone usually causes more worry than excitement due to the increased risk of accidents for young drivers. In fact, according to the U.S. Centers for Disease Control and Prevention, motor vehicle crashes are the leading cause of death among American teens. Thankfully, proper driving instruction and practice when teens are learning to drive can greatly reduce the risk of accidents. So, what can you do when you’re teaching your teen to drive so they can be a safer driver on the roads? Knowing the rules of the road is extremely important. Not only does this keep everyone on the same page for how to handle otherwise confusing traffic situations, it also plays a key role in preventing accidents due to driver error. The New York Times recently published an article that debunks the idea that parental instruction has a large effect on driving skill. In fact, it is the amount of practice the teen has that makes them better drivers. So by taking your teen out driving as much as possible, you can help them become a better driver. Ever noticed that your teenager drives slower, and is more focused when you’re in the car? It’s much easier to avoid the temptation of a cell phone when you know someone is watching you. That’s why teenage driving safety devices like Raven can be a helpful tool in encouraging young drivers to continue driving how they would if you were still in the car with them. Raven helps parents coach and improve their teens driving skills by sending alerts about driving skills, trip recaps, and comprehensive driving reports. 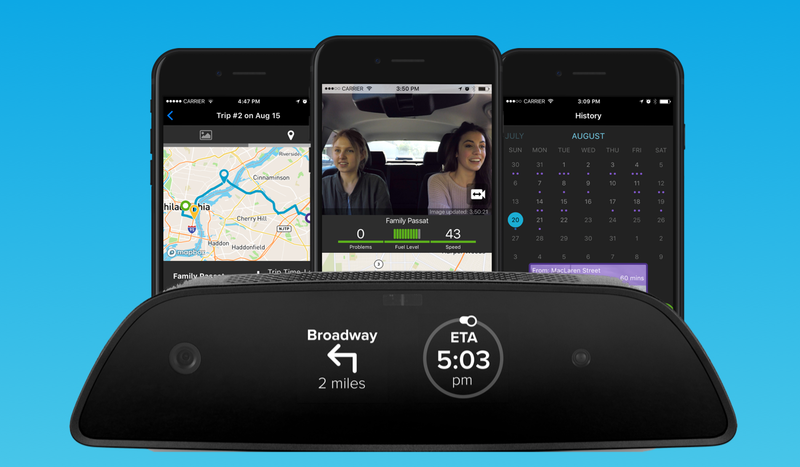 Raven also provides parents with some piece of mind while their teen drives through its 24/7 live video check-ins, crash alerts, and real-time location check-ins. Most importantly, it’s important to realize that mistakes happen — and the only way for a new driver to improve their driving skills is by learning from these mistakes. So the next time an incident happens while driving, simply shows them how they could improve that mistake, and maintain a positive outlook. Thanks for reading! For parents of teen drivers who have already started driving, check out our blog post for 8 useful tips all parents of teen drivers should know!